We went savory this week to finish off our chapter on Pate a choux. 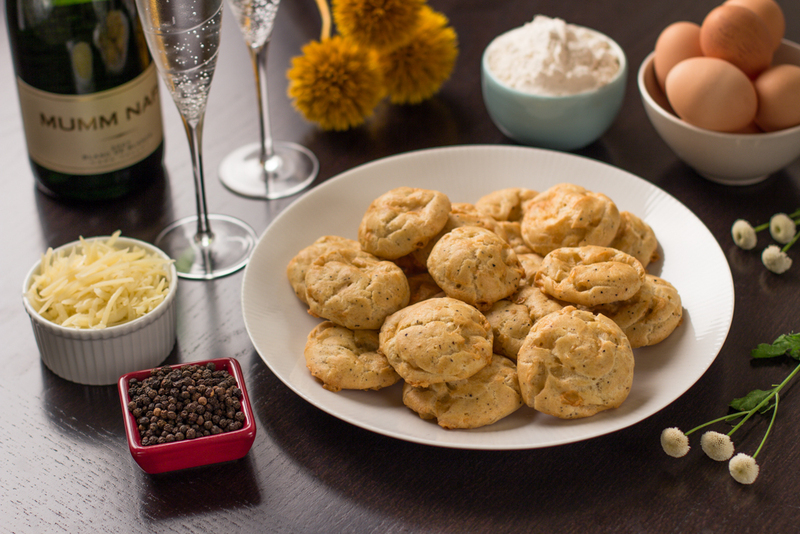 These gougeres or savory puffs are seasoned with salt, pepper and gruyere. Chef Keller recommends piping them in molds like for the sweet cream puffs but our bakers made them freehand. Have a look! I was very excited about this week's recipe, because gougeres are my favorite! Whenever I visit a new French bakery I always order a gougere. Funny story, I was visiting family in Charlotte and went to a French bakery that was recommended, asked for a gougere, and the clerk didn't know what it was. Even if you don't make them, you should know what they are, don't you think? Needless to say, I was not impressed. These are much smaller than most, which is more dangerous, because it's so easy to keep popping them in your mouth! By now, the choux technique is quite familiar. But I did notice that the dough was much wetter than in previous weeks. Not sure if I didn't simmer the mixture long enough. I double checked the measurements and I followed them exactly. A few changes: I didn't pipe the dough into molds, just free form onto baking sheets. I also didn't freeze it ahead of baking it. I also piped the gougeres larger than in the recipe. They didn't turn out as puffy as they should have, but I checked and they were cooked through. So I assume that a combination of the size, not freezing, and baking time resulted in a flatter puff. I didn't mind, they were still delicious, although not as pretty. I will definitely make these again, and follow the instructions more closely. Even though they didn't turn out as I'd hoped, we still set up a beautiful tablescape for the photo. I love gougeres. 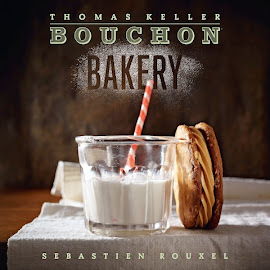 It combines choux, which I've already said many times over is one of my favorite doughs/batters, with gruyere, my favorite cheese. I did not use the silicone mold, rather I piped them 2" in diameter onto a half sheet pan. It fit 30 puffs which I froze overnight before baking. They didn't get too much color on top but they puffed nicely and were hollow on the inside.